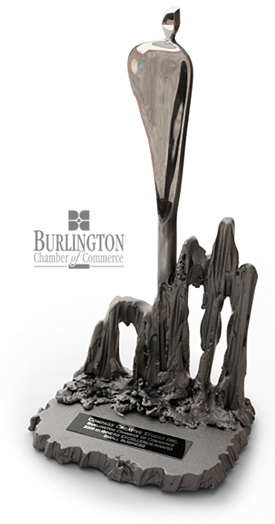 We’re pleased to announce that Compass Creative Studio has been awarded a Burlington Chamber of Commerce Award for Business Excellence in the category of Small Business. Congratulations to all the other nominees and winners at last night’s gala. We would like to thank our clients and the greater Burlington business community for making this a great city in which to live and work. We also thank the chamber for this event, this award and for all the work they do for and on behalf of Burlington business.